Help me reach my goal! Click Here to Shop at B&H Photo! Thank You! 2. Six (6) Photo Assignments. Having done four of these last year, I now know how much time I need to devote to an assignment. This year I will post a new photo assignment every two months starting next week. Look for the others to be in March, May, July, September and November. I have been very pleased with the participation and the quality of the photos and postings you all have done in the past and look forward to seeing more this year. Creative Nature and Outdoor Photography is the photography book I will be reading for the month of January. Click the image for more Information. 3. Read a photography book a month. Most photography books are a cross between a college text book, a table top photograph book and a good technical mystery novel. I find them fun, informative and inspirational. Each month I will share with you the book I am reading and will post a review after I am done. Maybe you’ll even read along or, if you’ve read it, give your opinion so others can determine if they would like to read it. 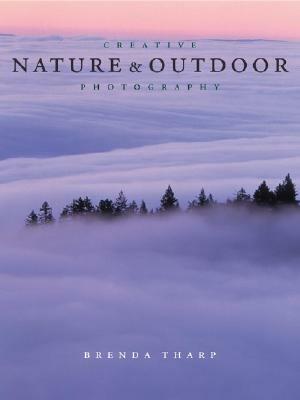 For January, I will be reading Creative Nature & Outdoor Photography by Brenda Tharp. This book came highly recommended by other photo blogs I read. Ms. Tharp’s work was highlighted in an article in the latest Outdoor Photographer magazine (January, 2010). 4. Take monthly photo walks/adventures. I had gotten away from photo walking by the end of last year. Miss getting out and about. Adventures will be close to home this year with a couple of travel vacations which need to be planned. 6. Build a website. I do have my SmugMug site but want to explore how to customize it for better presentation of the public photos that are for sale. 7. Promote my work in an online Gallery. SmugMug might work for this but I know there are others out there. Cafepress is fine for calendars and such but I am looking for quality prints with options for frames. Do you have any suggestions? 8. Take a workshop. I really enjoyed the one day workshop I did last fall. That was just an indoor lecture. I hope to find something local to me where I get out in the field with an instructor(s) and a small group of fellow photographers to expand on the workshop experience. Should be interesting to see what happens during 2010 and I will return to this post early next year to see how I did. I will continue to add relevant links to my postings to encourage further research for those so inclined. It is something I like to do when visiting blogs and websites. I will continue to visit other blogs and flickr photostreams and leave comments I hope are encouraging and helpful to the blog authors and photographers. I do not mind people using my photos on their blogs or websites. All I ask is for you to give credit and a link back to this blog. If you want to use any of my photos for commercial purposes, please, contact me. Here’s to 2010! May it be better than last year. Let us all hope so. This entry was posted in News and tagged b&h photo, books, cafepress, challenge, goals, nikon, photo walk, Photography, smugmug. Bookmark the permalink. You have some of the same goals that I do. Especially in regards the smugmug site. I have Pro but I have never customized the site and I really need to do that. As to the full frame camera…I think I will stick with my D90 for another year. BTW—I love going through the photography section at Half Price Books, always great finds in there. Just finished Creative Black and White in Architecture. Yeah, I need to dig in to what can be done with the SmugMug site. I have seen some really nice ones. I’ll pass on anything I across once I get to it. That’s a mighty fine list of goals, Scott! I hope you achieve all of them and more in 2010. I’m currently reading Joe McNally’s ‘The Hot Shoe Diaries’. It’s a great read and he provides so much insight into Nikon cameras aside from the main topic which is using the Nikon speedlights to their full potential. I’m about half way through and have learnt so much already! It also has confirmed some things I suspected or techniques I’ve tried. If you haven’t already, you should check it out. I’m intrigued by your guest blogger concept. If you feel I might qualify for a try, let me know! I look forward to your 2010 photo assignments. Thanks, Tracy! Your goal and others of a photo a day still amazes me. You’re doing good so far, keep it up! I read “The Hot Shoe Diaries” when it came out last year but it will be on my list to re-read this year. I find re-reading books on photography of great value as I tend to understand more each time through. In fact, there will be a few re-reads this year. I’ll be in touch about the guest blog offer soon. Thank you! Most interesting Scott, good luck with all your ideas and may you score on every one. Great goals, Scott! I’m really looking forward to your assignments, and book reviews, and more posts from you! As far as prints, have you checked out Mpix? Great print quality, and they do offer frames as well. They also have press-printed products (their calendars are beautiful, I ordered one several years ago). Good luck in reaching ALL your goals for Two Thousand and Ten! I saw another blog using Mpix after you mentioned it. I didn’t know they had that service so I will be checking it out. New assignment coming soon! That’s a good list, Scott! Here’s to a great 2010! Thanks, Terry! To you, too! Scott, I like your goals for 2010. We, at S&SP, have similar goals; especially in building a website, working on our gallery, and having a guest featured. We are going to have a guest featured with his photography and writing coming up. Exploring and expanding in the world and eyes of photography. By the way, the book you mention, Creative Nature and Outdoor Photography, looks good. Have you read Landscape Photography by Tim Fitzharris? I really like this book. May 2010 enrich and expand us all in our photographic and creative endeavors! I’ll be looking forward to your continuing adventures in Kansas, Anna. I have not seen that book and will check it out. Thanks! Thanks, Nye! I, too, learn a lot from your stories. If you can do it – then I SHOULD do it!!! Great goals Scott. I am going to reread “Hot Shoe Diaries” as well. Even though I am a Canon shooter, I found Joe’s approach to lighting is not camera specific. I am transitioning from SmugMug to Zenfolio. I found Zenfolio much easier to create the look I wanted even though the product range is more limited. I did make one of my goals for 2009. I sold enough photography to pay for my Canon 5D mark II. Little did I know it would be from one photo. I’ll have to check out Zenfolio as I’ve seen in mentioned quite a bit lately around the blogs. I see you use Mpix on your blog. How’s that working out for you? Wow! That’s a beautiful photo, Mike! No wonder it covered the cost of a new camera body. They sound like some excellent goals. I was thinking about making a push to go FX, but I’m betting that won’t be happening. The best goal on there for me is probably reading the photography book one–as it’s the cheapest. Plus, I think that will be the most helpful to assist me in improving.